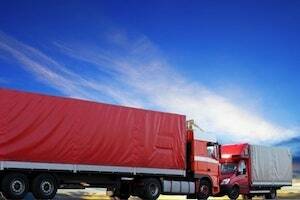 When a victim is injured in a truck accident, who is responsible? While many different parties may be liable for property and victims' injuries, driver error is often a cause of these accidents. Distracted driving. The Federal Motor Carrier Safety Administration (FMCSA) establishes rules with associated penalties for texting and using handheld cellphones while driving. Under these federal rules, drivers can face penalties and even disqualification sanctions for texting while driving, and their employers may be fined as well. Other driver distractions include eating or drinking, grooming and talking to passengers. Fatigue. Fatigue and the monotony of the long road can cause a driver to lose focus, get drowsy and even fall asleep behind the wheel. Drowsy or fatigued driving can be as dangerous as driving under the influence. The FMCSA limits the length of time a driver can be on the road without taking breaks. Read more in our blog about how electronic monitoring devices can help cut down on drivers who exceed the federal limits. Driving under the influence of alcohol or illegal drugs. Driving under the influence is always hazardous, but the dangers are multiplied when the vehicle is a loaded semi weighing up to 80,000 pounds. The FMCSA has established rules under which a truck driver is deemed to be driving under the influence that are much stricter than most states including Florida - blood alcohol concentration levels of 0.04% vs. 0.08%. Drunk driving causes poor judgment, vision problems, recklessness and slowed reaction time. Aggressive driving. When racing against a deadline, truck drivers may drive aggressively including speeding, tailgating, cutting in front of other vehicles and weaving in and out of traffic. These behaviors are not only dangerous but can also distract other drivers. Health problems. To earn or renew a commercial driver's license, a driver must pass a thorough medical evaluation. But a driver's health can change at any time and conditions including heart issues, diabetes, epilepsy, arthritis, vision and hearing problems and sleep apnea can put the driver at risk of losing control of the truck. Of course, driver error is not the only cause of tragic truck accidents. Other entities may be liable including the truck or trailer owner, the person or company who leased the truck, the truck or parts manufacturer or the cargo loader. An attorney experienced in truck accidents can help determine liability for any injuries. If you or a family member has been injured in a truck accident or in a car accident or any other type of personal injury, please contact the Law Offices of Diana Santa Maria, P.A. immediately. Our experienced attorneys will fight for the compensation you deserve. Please call us for a free consultation. Attorneys Diana Santa Maria and Laura D. Dolin, personal injury attorneys in Fort Lauderdale, will fight to secure justice for you and your family. You can reach us at (954) 434-1077 or contact us via the website.